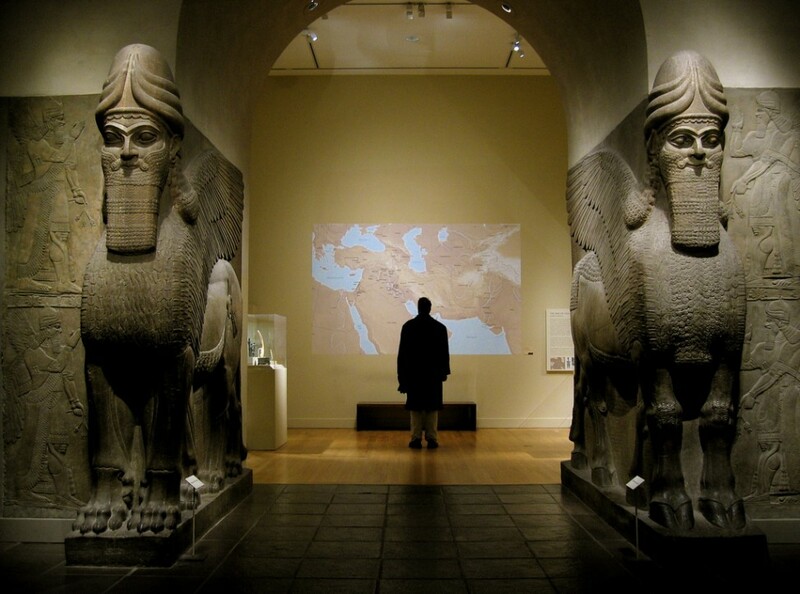 This is an image of Lamassu with a man standing in the background between the two statues. It is important because it gives us a sense of the scale of the work and how this could create certain emotions when viewing them. The idea of Lamassu was to protect the sacred areas of the city, and this image shows how statues of this size could be intimidating. This image is also important because it gives us a bit of a side view of the statues, allowing us to see parts that we can’t see from the front such as bird wings and another leg being added to simulate movement.